Kalahari Gold Part 2 ……. I actually did make something with the last truffle on Monday night. Not enough for a meal for two, I peeled and shaved the truffle and then warmed it in some pistachio oil. 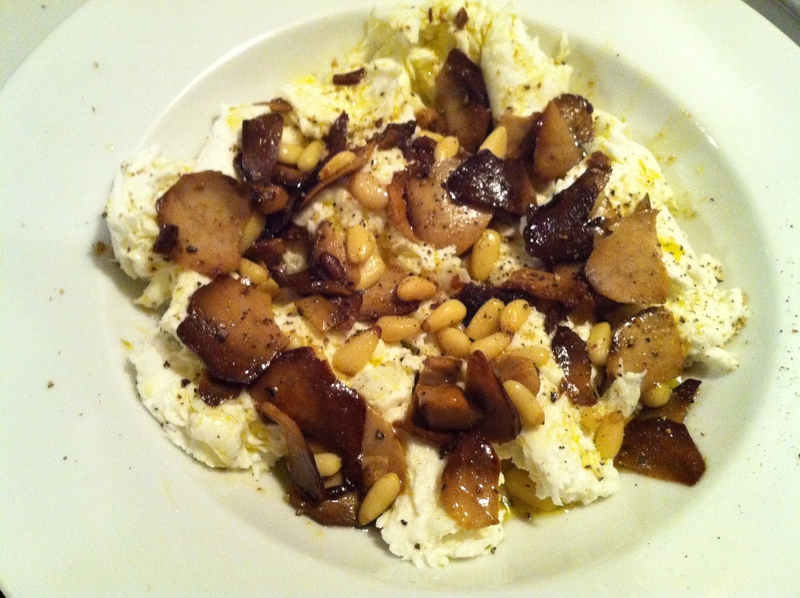 A tablespoon of pine nuts for texture, a few drops of truffle oil and then poured it over some buffalo mozzarella cheese. A delicious bruschetta topping for two and ready in 10 minutes. Commander J let out a sigh after the first mouthful so I might have to make this one again. Don’t heat the pistachio oil too much as you want the full nutty flavour to remain. Make sure you use a really good quality cheese as you want something soft and not too rubbery or sour. This combination makes a really good pizza topping too. Next week I’ll be experimenting with some summer truffles in an effort to make a very special salami. Darryn from Sagra Foods has managed to source some fantastic ingredients for me. It won’t be cheap but hopefully will be something unique and I’ll keep you updated as it matures. 1 Response to Kalahari Gold Part 2 …….